Can you recommend some good travel companies that offer good deals for single travelers? I’ve taken a couple tours since I retired a few years ago, but the single-supplement fee really cuts into my budget. Shirlie Faye Magee Davidson passed away peacefully on October 19, 2017 in Richmond, Virginia. Shirlie was born February 18, 1927 in Holyoke, MA. Dolly Elaine Farnsworth went home to the lord on October 18, 2017 at Narraguagus Bay Health Care Facility . She was born September 9, 1946 in Addison to Charlie and May Farnsworth (both deceased). She had five children; Angel Gaspar and husband Bill Gaspar of Blue Hill, Darin Burgess and wife Karen Burgess of Milbridge, Enoch Burgess and wife Stacey Burgess of Columbia, Tarra Merchant and husband Timothy R. Merchant of Addison and Jason Burgess and wife Tammy Burgess of Milbridge. Frances J. Plunkett Robinson, 82, passed away October 20, 2017, at Hibbard Nursing Home and Rehabilitation Center. She was born September 8, 1935, in Cass County, Missouri, the daughter of Evelyn (Lapsley) and Walter Plunkett. DownEast Acadia Regional Tourism will hold their 3rd Annual Tourism Symposium and Awards Luncheon on Thursday Nov 9. 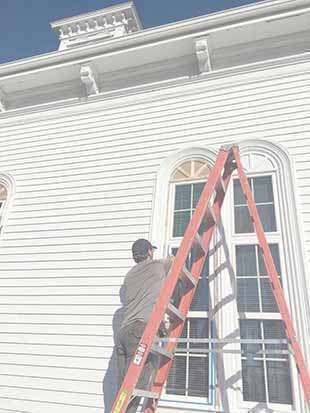 This year’s event, held in downtown Bucksport at the Alamo Theatre and the newly opened Lighthouse Arts Center, will focus on supporting the regional economy through promotion of local producers. The event is open for registration to the general public. The Eastport Arts Center is currently taking registrations for tables for their annual Holiday Market,which will be held on Saturday, Nov. 25 from 10 a.m. to 2 p.m. Tables are first come, first served; fee charged for an 8-foot table. Youth vendors can reserve a small space (size to be determined by need). All vendors should contact Chris Grannis to reserve their space by November 17: email chris@eastportartscenter.org, or call (207) 853-4650. Chad Hanning of Addison, Maine: 1.) Domestic violence assault on November 29, 2016 in Steuben. DISO. 2.) Domestic violence assault on November 29, 2016 in Steuben. DISO. 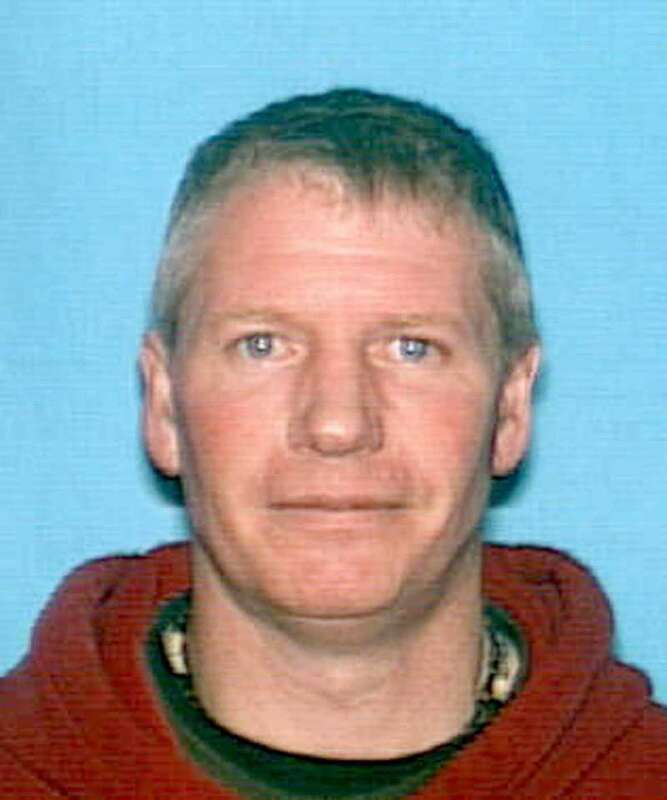 Adam Flint Harriman II of Bangor, Maine: Theft by receiving stolen property on October 10, 2015 in Topsfield. SNTC Date 8/23/2017, Washington County Jail 1 year all but 14 days suspended, stayed 8/25/2017, probation 1 year. Restitution $748. GLTY. The IT eBay Store in Machias is now an approved drop-off site for donations to the Ark Animal Shelter in Cherryfield. Currently the shelter is seeking donations of dog food, cat food, cat litter, treats, bedding and toys. The Ark is a 501(c)(3) not-for-profit organization dedicated to the care of homeless, unwanted or displaced animals. The Ark provides shelter and care to all admitted animals until appropriate placement can be made, and does not euthanize unless a serious medical or behavioral problem exists. 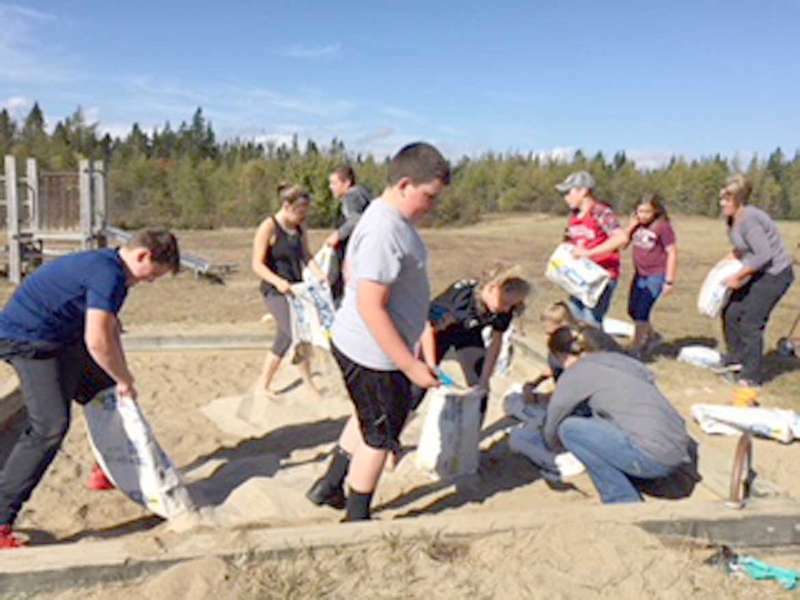 Friday, Oct. 20 saw the students of Machias Memorial High School (MMHS) dispersed across Machias and surrounding communities working on service projects to better the region. 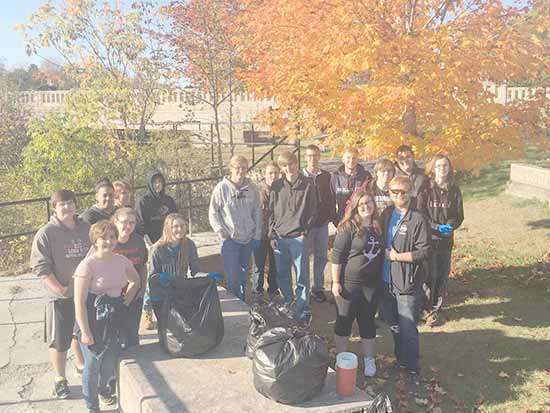 MMHS holds its Community Service Day annually each autumn, and also encourages community service by requiring students to complete 10 hours per year to graduate. Which comes first—poverty or drug addiction? Drug addiction or homelessness? When you’re spending money to improve Washington County’s well being, where does a dollar go the farthest? And how do you measure success? These were some of the ideas considered by attendees in a discussion sponsored by the United Way of Eastern Maine (UWEM) on Oct. 17 at the Calais Motor Inn. 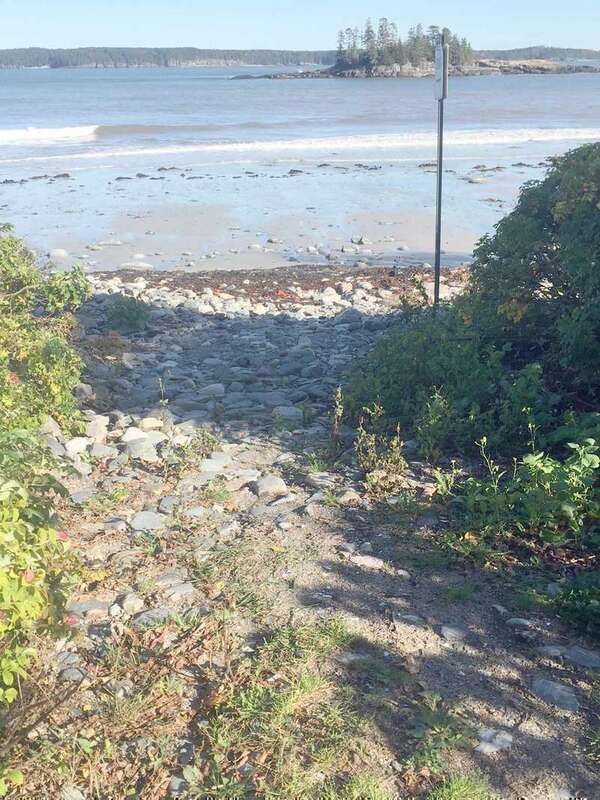 State Police, working with the State Medical Examiner’s Office and the Maine Marine Patrol, are appealing again to the public for help in identifying a man found floating off the Maine coast in 1990. The body was found eight miles south of Schoodic Point and eight miles east of Baker Island by a pleasure boat on August 9, 1990. Previous efforts over the past 27 years to identify him have not been successful. Things are usually quiet during this time of the year at the State House, but last Monday was different as we all returned to Augusta once more to convene for a special session. 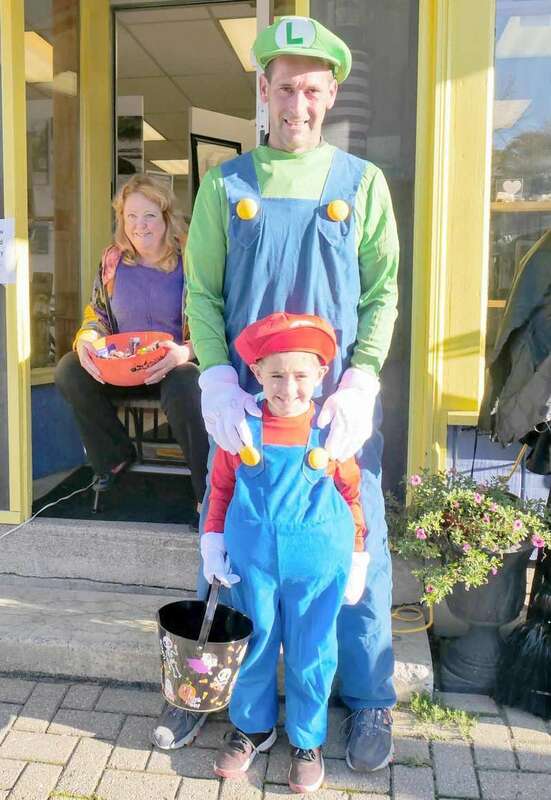 Machias’ Trick or Treat on Main Street was another outstanding success. 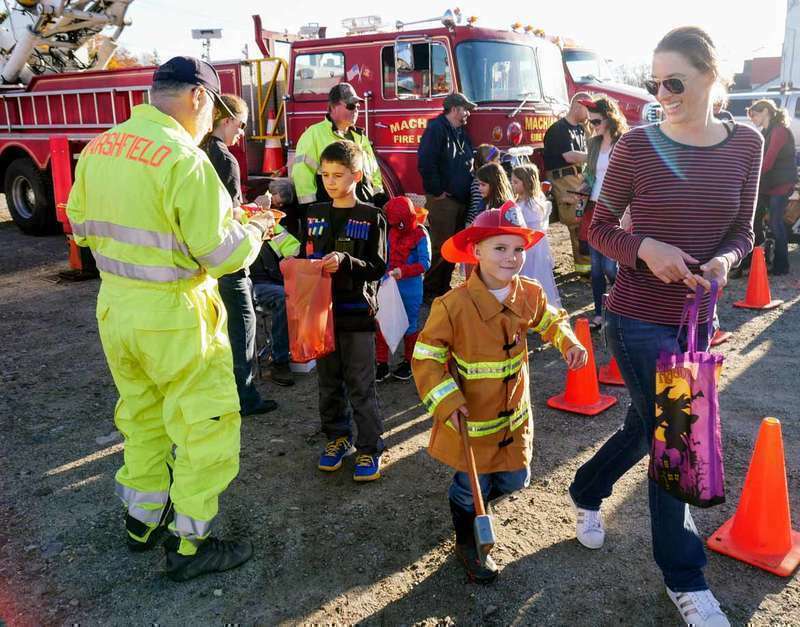 One count estimated more than 800 children in attendance, as compared with 650 last year. The streets were crowded, and the daylight lets you appreciate all of the creative costumes. My personal favorite was a family that dressed as characters from Willy Wonka and the Chocolate Factory. The father was Willy Wonka himself, the mother was Violet Beauregarde after she turned into a blueberry, and their child was an oompa loompa, complete with orange makeup and cute white knee pants. University of Maine at Machias’ student activities organization, SAIL, will host two showings of the movie Despicable Me 3 on campus. SAIL stands for Student Activities Involvement and Leadership, and the organization hosts events throughout the academic year for students and community members. Despicable Me 3 will show in the Performing Arts Center on Friday, Nov. 10 at 8 p.m. and on Sunday, Nov. 12 at 2 p.m. Tickets are just $2 for community members and free for UMM students, staff, faculty and their immediate family members. Porter Memorial Library and the Machias Valley Film Society will screen the POV Documentary “Almost Sunrise” on Friday, Nov. 10 starting at 7 p.m. This is a special preview screening, several days before the film is broadcast nation-wide on PBS. “Almost Sunrise” is a verite film--candid and realistic--with a message of hope for those who suffer a mortall injury. The film follows two Iraq veterans who are haunted by combat experience, as they walk 2,700 miles from Wisconsin to California. On Wednesday, Nov. 8 at 5:30 p.m., the Psychology and Community Studies Department at the University of Maine at Machias will host a screening of the documentary film SEED: The Untold Story. The film will be followed by a discussion with two renowned Maine food sovereignty activists, Jim Gerritson and Will Bonsell. Supported by funds from the Libra Foundation, the event is free and open to the public and will take place in the performing arts center. The Machias Fire Department responded to a call for a possible structure fire at 1:55 a.m. on Saturday, Oct. 28. 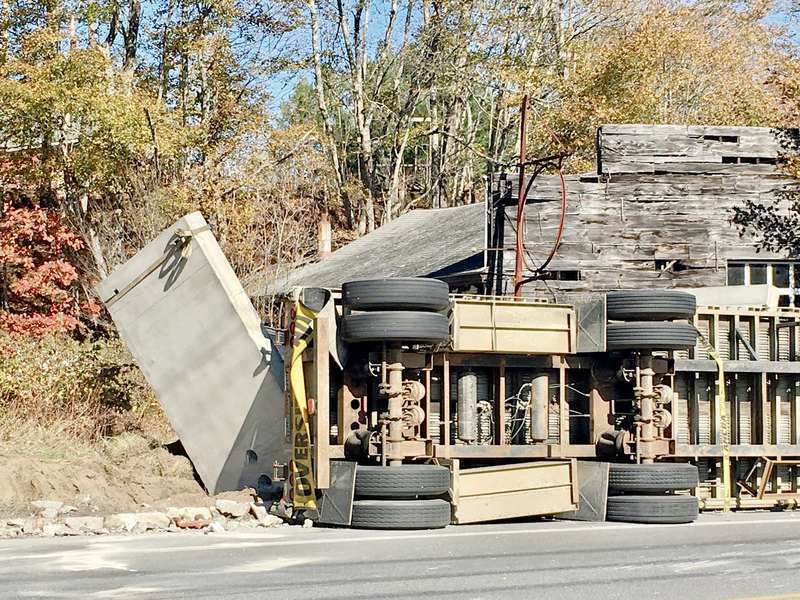 “When we arrived, the back part of the trailer was fully involved,” said Machias Fire Chief Joey Dennison. The fire took place at 54 Middle Street in Whitneyville. 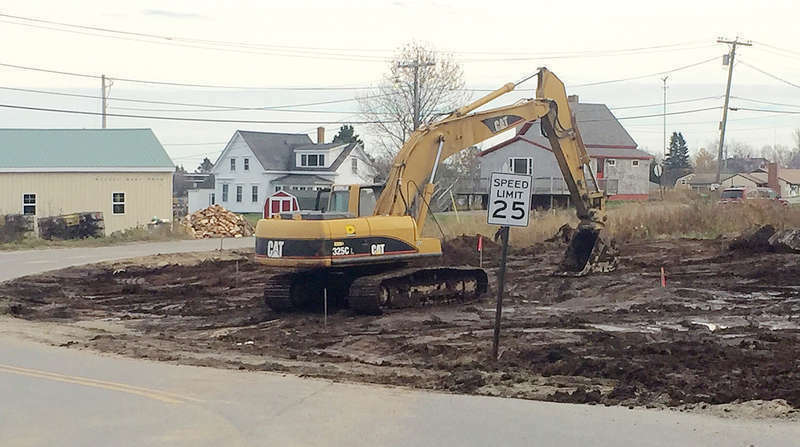 The process of taking private land to enable emergency vehicles to respond and turn around in a congested private lane off of Jonesport’s Main Street began Oct. 25, when selectmen voted to hire an engineer to look at and design a solution for the tight quarters at the end of Ice Hill South on the banks of Moosabec Reach. Emera Maine, seeking to build a substation to service island communities, has requested a rate hike likely to add $3.60 to the average electric bill. The Bangor-based company has asked the Maine Public Utilities Commission to grant a 12 percent increase on its customers’ distribution rates. This could amount to an overall increase of 5 percent on all residential bills, which would mean a revenue increase of 12 percent to Emera Maine. Volunteers came together last week to plan the Machias Community Christmas, scheduled to take place on Saturday, Dec. 2. Committees were formed to handle the annual parade, Voice of Downeast singing contest, decorations, children’s activities and more. 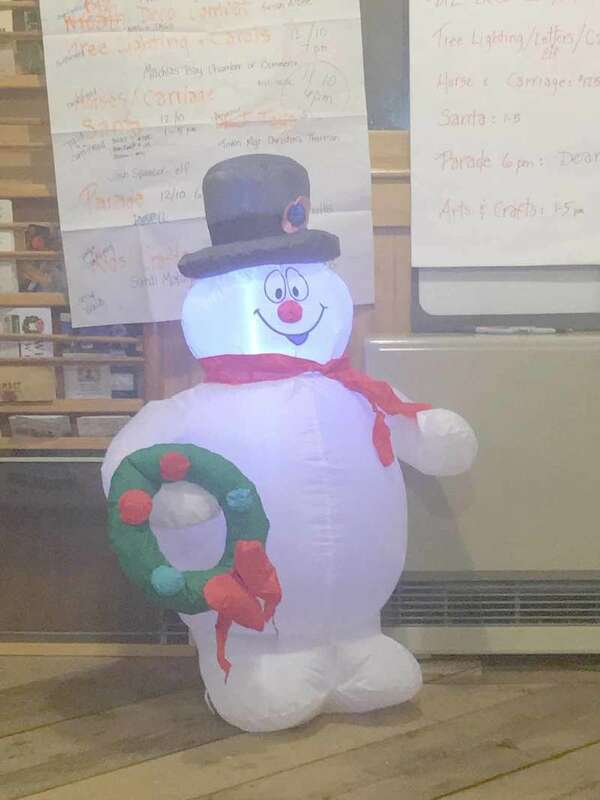 Frosty the Snowman was also on hand, one of a dozen Christmas inflatables purchased in memory of Danny Manchester. The illuminated decorations will form Danny’s Village, which will surround the Machias town Christmas tree near Station 1898. On Tuesday, Nov. 7 Maine voters will go to the polls to cast their vote on four ballot measures. Unregistered voters may register to vote right up until they vote on election day. Two of this year’s questions are citizen initiatives, which means they came to the ballot by way of petition, a process permitted in only 23 other states. 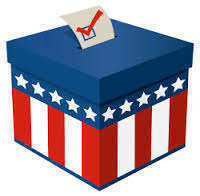 For additional information, visit www.maine.gov and search for the Maine Citizen’s Guide to the Referendum Election. Reed Willette hustles to the ball in Class D soccer action. Adam Robinson controls the ball for J-B. The University of Maine at Machias (UMM) Clipper Mens’ and womens’ soccer squads traveled to South Portland on Oct. 14 to play Yankee Small College Conference rival Southern Maine Community College. The women came home with a 1-0 decision while the men had to settle for a 1-1 tie. The Clipper men came out of the Southern Maine Community College game with a 6-7-2 overall mark and a 4-2-2 record in the Yankee Small College Conference. 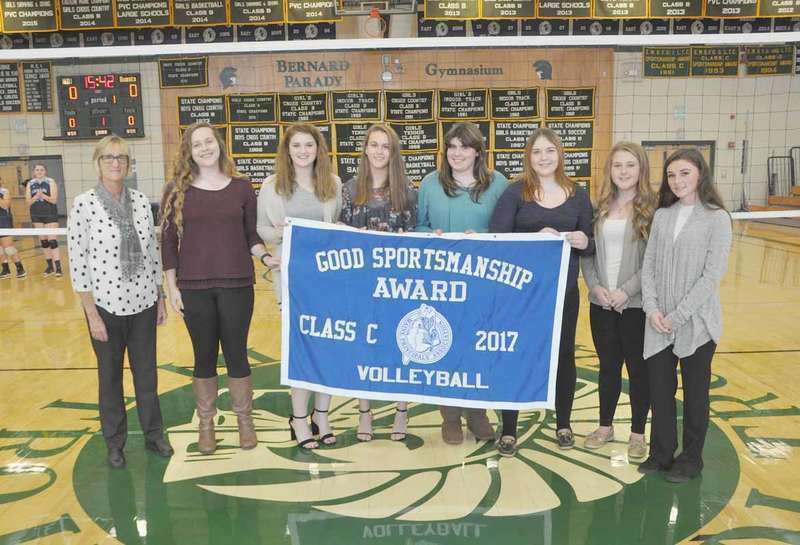 In volleyball the 2017 high school sports season is winding down with several school teams qualifying for post-season play. Woodland High School currently holds down the top spot with a 12-1 record with recent victories over Washington Academy (WA) 3-2, George Stevens Academy 3-0, and Lee Academy 3-0. Arnold Clark of Calais and Katherine Kulig of Ludlow, Massachusetts are the latest University of Maine at Machias (UMM) athletes to be inducted into the school’s Athletic Hall of Fame. The induction ceremony was held at the Reynolds Center on Oct.16. Clark and Kulig join a list of former inductees that include Fred Reynolds, Tracy Keishner, Rich Larson, Elsie Larson, Drew Meredith, Barry Shrambam, Fran Plunkett-Robinson, Ordie Alley, Carol Lahaye, Dwight Ferry, Ralph Beal, Becky Tower and Billy Ashley. After years of tanning pelted hides by various methods, Faeterri Silver learned how to use basic inexpensive ingredients for tanning hides that worked long term. This class explores the process of tanning hides, be they small or large, using ordinary kitchen ingredients such as oil, salt and vinegar, and simple tools. The Eastport Gallery on Water Street has closed for the season, and gallery members have moved their work to Washington Street Arts Center Gallery, where it will remain for the winter season. 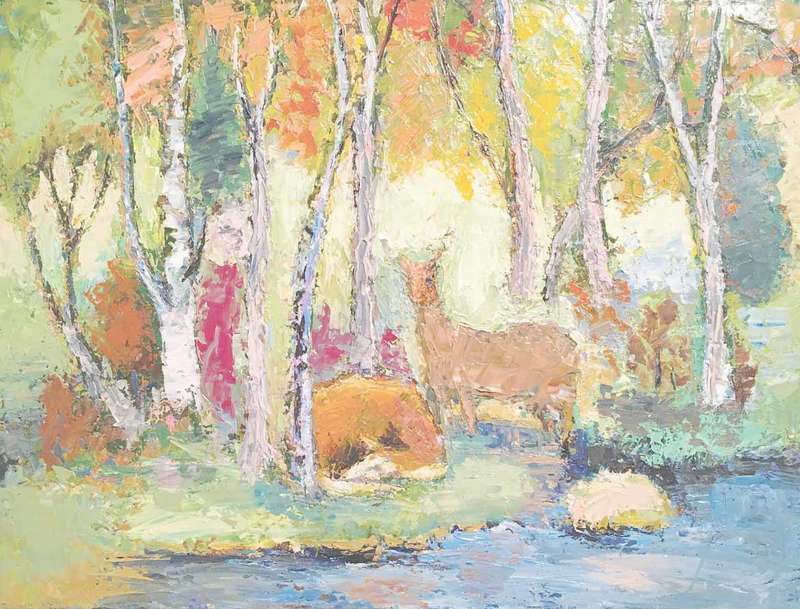 A collection of works by Alice Chen, Judy Clendenning, Nicols Fox, Dominic Noe, Elizabeth Ostrander, Joyce Weber, Shelley Weber and Lora Whelan is currently on view. Washington Street Arts Center Gallery is on the first floor at Eastport Arts Center, 36 Washington Street, Eastport. The gallery is open during EAC events, or by chance or appointment. Hinkle said that he and his filmmaking partner James Hubisz are already focusing on the subject for the next summer film, but have something in mind before then, too. 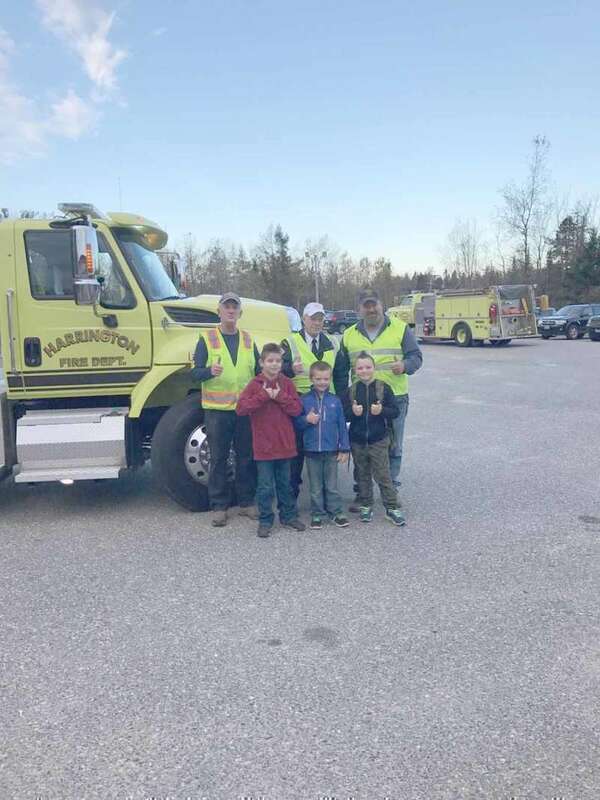 On Oct. 11, the Harrington Elementary lower grade students were visited by the Harrington Volunteer Fire Department for Fire Safety Week. Students enjoyed a presentation by Chief Dave Baldwin, Dave Ramsdell, and Jasmine Hammond. Our students toured the fire truck and learned about the equipment used by the fire fighters. 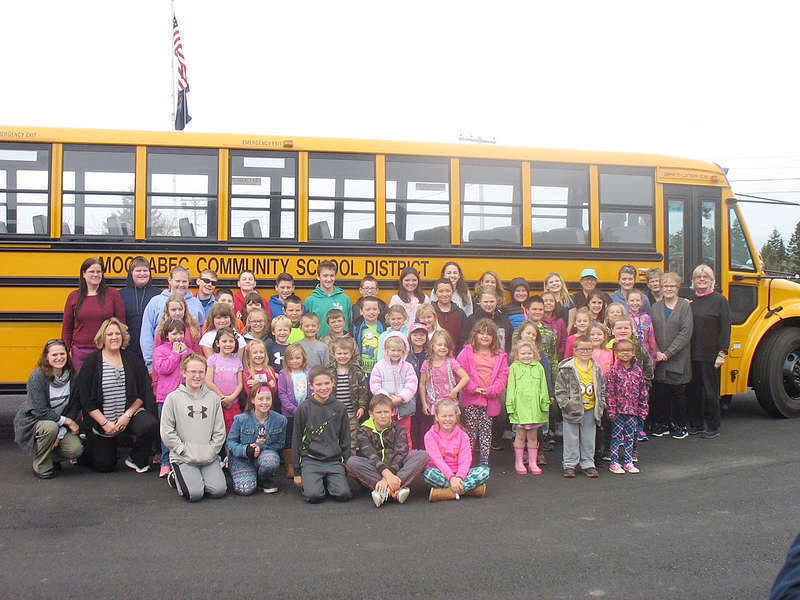 A drawing was held for grades one, two, and three for a Ride to School in a Fire Truck! A winner from each grade was drawn. Karsyn Burgess, grade 1, Brody Robertson, grade 2, and Kayden Dake, grade 3, were the excited winners! 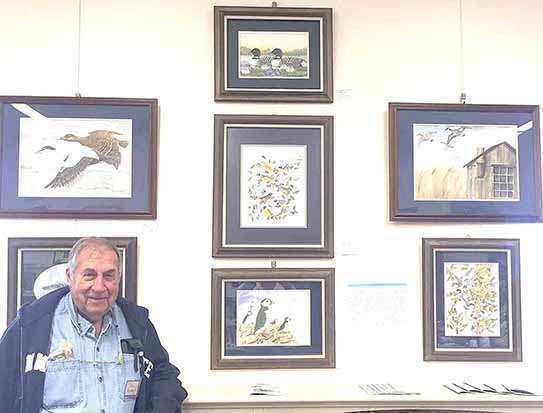 Wildlife artist Fred Hartman is the featured artist at Jonesport’s Peabody Memorial Library in a show that opened Oct. 14. A retired wildlife biologist whose career took him from Pennsylvania to Maine, he has been involved in wildlife management along the eastern seaboard and with Ducks Unlimited since 1974. He and his photographer wife Patty own and operate DownEast Drawings in Whiting. The show is up through January 3. It’s a Halloween Thing…as Maggie Allen, Sofia and Renee St. Pierre, Dusty and Olivia Korasadowicz, and Rocky, all of Machias pay homage to Dr. Suess. Home Deer was the order of the day as Scott, Chelsie, Madison, Lauren, Emersyn and Griffin Gordon of Machias were hunting for treats. The Friends of the Whitneyville Library want to thank everyone that came to the Oct. 21 craft fair at the Parish Hall and supported the library by buying candy or crafts. It was a fun day for the Friends of the Library. Don’t forget our Nov. 4 pork roast supper. Pork roast with mashed potatoes, gravy, peas and carrots along with Janet’s rolls and biscuits will be served. Homemade pies and cakes are also on the menu. This past week has gone really fast, and of course it would when you have your grandbabies visiting. Our son Zebadiah and his wife Molly along with their two boys Oliver and Gavin and their dog Silva, arrived on Friday morning, Oct. 20 from their home in Orono, Minnesota. They traveled right through without stopping. The boys have grown since I visited with them last spring. Both Carroll and I have enjoyed having them here this past week. Craft fair at the Parish Hall in Machias last Saturday, Oct. 21 started slow but then was steady all day. Erin Guptill was set up right beside Linda and we got to help with Wyatt. We had a great time. Jack August was helping in the kitchen and he made the best hot dog with fried onion I’ve had in a long time. As I write this, we are anticipating a wind storm. Some of the fishermen have brought their lobster boats ashore. By the time you read this, it should be over. Chuck and Bonnie Peterson attended the Clint Black concert in Bar Harbor on Friday night. It was a really good show. Mike and Tracey Peterson’s new home was delivered this week. The rain was not helping, but it is set up. It is really beautiful. Congratulations Petersons. We have been given more apples. Hopefully someone will get a deer so we can make mince meat. Yum!! The students at Bay Ridge Elementary invite all area veterans and their guests to our annual Veterans’ Day Program and Dinner on Nov. 9 starting at 10:30 a.m. Please call the school at 259-3347 if you and your guests plan to attend. We look forward to presenting a program in your honor followed by a special dinner. On Thursday, Oct. 26 a 10-member panel of legislative leaders allowed a bill to keep Downeast Correctional Facility (DCF) in Bucks Harbor open an extra 18 months to move forward in January. 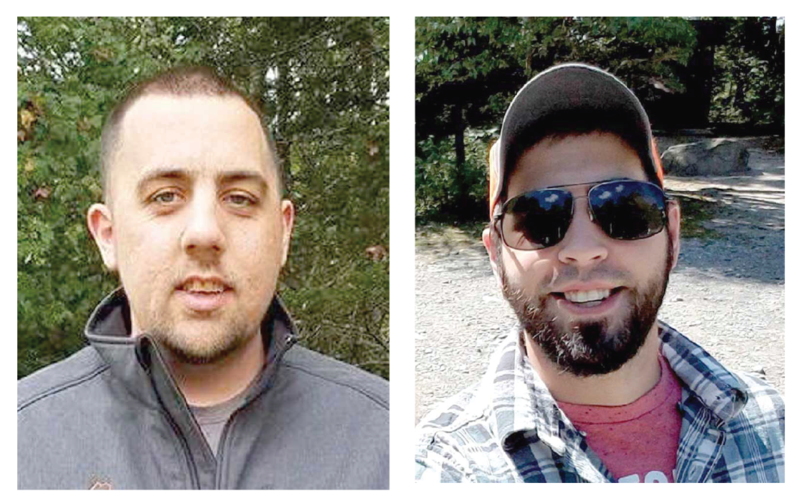 The bill, sponsored by Rep. Will Tuell (R-East Machias), would provide additional funding to the beleaguered prison while policymakers develop a long term solution. Christopher Hart’s sports background is impressive. He holds a B.S. in Athletic Administration from Endicott College, has experience with the Hartford Wolf Pack, “... a semi-pro hockey team in Hartford Connecticut,” he said, and in June he began as the new athletic director for University of Maine at Machias (UMM). With widespread power outages expected to last a few days following the recent storm, the Maine Center for Disease Control and Prevention (CDC) is reminding residents how to safely use portable gas-powered generators and providing food safety tips. 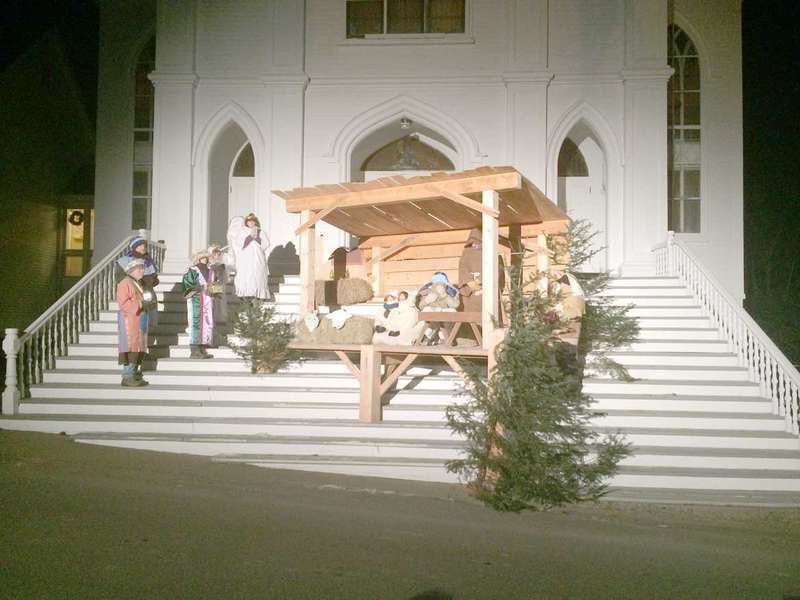 The Living Nativity was installed November 5 for its 5th Christmas Season on the steps at Centre Street Congregational Church UCC in Machias. Installers this year were Harper Dean, Jim Jackson, Thornton Land, Greg Maxwell, Stuart Swain and Lin Warren. This annual gift from the church to the community is increasingly popular. It will be “live” for 2 early evenings in December. There will soon be a sign on the church and the Nativity which tell which dates it will be live. It’s been an exciting week as groundwork for the new library has begun. The land is being prepped for the next phase of the project. Architectural plans for the library have been finalized and the land work can now begin. The building which will be 4,000 sq. 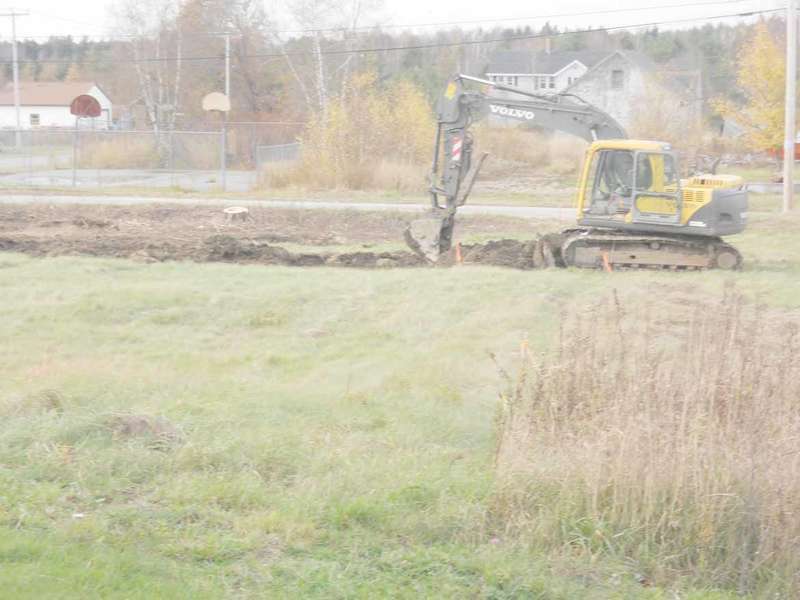 ft. in size will house the Whitneyville Public Library and the library’s Whatnot Craft Shop. Completion of the project will be sometime in spring/summer of 2018. This past week I have not been out much except to drive the bus. On the half day of school I got to visit with Hulda Peterson in Harrington; it was a nice visit and we almost got caught up on news in the area. Everyone was out due to illness on Monday night’s genealogy class so I got the chance to visit the knitting class for a bit before returning home. It probably was a good thing as I was coming down with this cold that is going around. Both of us here have it, I just wish those kids of mine on the bus had not given it to me. Lobster fishermen are taking in their traps now. The season is coming to a close. It was a fast season, not quite as good as last year. Sincere condolences to the family of Louise Emerson. She was a lovely lady and will be missed. Wreath-making season is upon us. There have been many loads of brush being delivered to Worcester Wreath in town. Winter is not far behind. Ron T. has been seeing deer in their fields. Andrea and Stan K. put up new posts and fencing around their garden of winter rye but they had a moose take down most of it when it walked through. We took a ride into Chain Lake but had to pull a tree out of the road with a rope. The camps were fine but a tree came down by Blaisdell’s house and tore the electric box off the house. Our power just blinked off and on a couple of times. We were lucky. Linda and I took Halloween candy to school for the kids’ party. 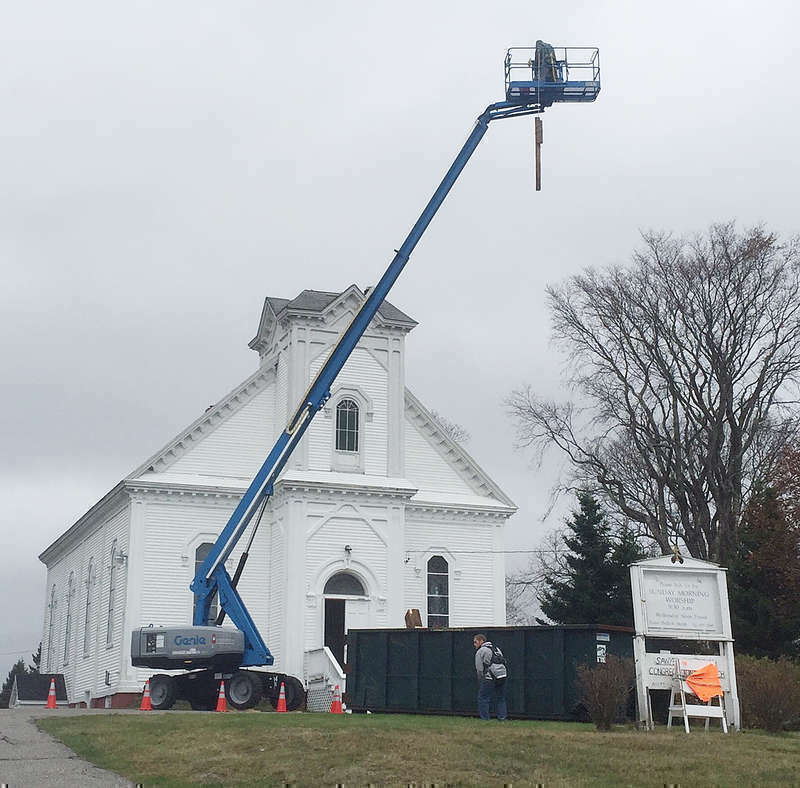 Steeplejacks were still working on the 100+year-old spire of Jonesport’s Sawyer Memorial Congregational Church last week, removing old wood before capping it for the winter. The bell is stored in a nearby barn. Last Saturday, church volunteers put on a craft fair and luncheon to boost the belfry fund. The Atlantic States Marine Fisheries Commission’s (ASMFC) American Eel Management Board reviewed the results of the 2017 American Eel Stock Assessment Update, which indicates the resource remains depleted. The assessment updates the 2012 American Eel Benchmark Stock Assessment with data from 2010-2016. Trend analyses of abundance indices indicated large declines in abundance of yellow eels during the 1980s through the early 1990s, with primarily neutral or stable abundance from the mid-1990s through 2016. Total landings remain low but stable. Current recipients of Food Supplement benefits through the Supplemental Nutrition Assistance Program (SNAP) may be able to get help with food lost following this week’s storm. The Machias traffic ordinance written in 1971 is slated to receive some updates from the current selectboard. During their Oct. 18 meeting, the board discussed redefining the town’s parking zones. Part of the effort will involve taking measurements and GPS coordinates from landmarks likely to last, such as the bridge, because the existing ordinance defines parking in relation to local businesses, such as Johnson’s Jewelry Store, which are no longer present. As area blueberry growers struggle with the realities of supply and demand, Maine’s official commission this week pledged renewed support. 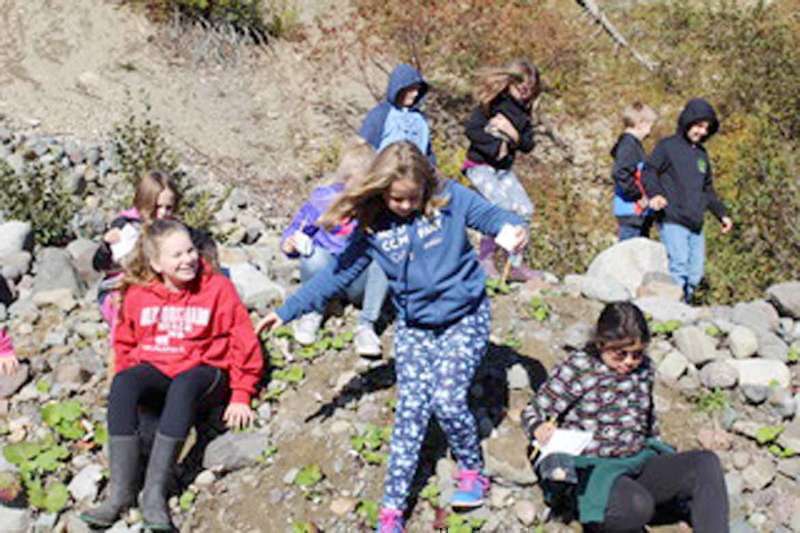 Recently students from Pembroke, Perry, Lubec and Whiting took a field trip on the Downeast Ice Age Trail for some firsthand experience of archaeology. The trip blended the old and new as students followed the trail to a place where they could dig for fossils, using the Ice Age Trail’s iPad app to guide them. Members of the Hannah Weston Chapter, Daughters of the American Revolution have set aside the month of November to recognize and honor both Active Duty Servicemen and Women and Veterans. First they will recognize our veterans by having as a guest of honor a representative from the Machias Veterans Home during their 11 a.m. meeting and Dutch Treat luncheon to be held on Saturday, Nov. 18 at the Bluebird Restaurant in Machias. On Saturday, Nov. 11 the ladies of the Jonesboro Union Church Auxiliary are holding the Annual Jonesboro Harvest Craft Fair. This year the harvest fair is held at the Chandler River Community Center (next to the Jonesboro Union Church) from 9 a.m. to 1 p.m. The fair features local crafters with unique, high quality items for early Christmas shopping. Coffee and homemade donuts are available in the morning. Chili, American chop suey, chili dogs or good ole’ steamed hot dogs and chips are being served for lunch. The church ladies’ baked goods and fudge are available. The Emergency Department expansion and renovation is near completion. To officially mark that milestone, Down East Community Hospital will hold a ribbon cutting ceremony. The ribbon cutting will take place in front of the new emergency department at 11 Hospital Way on Nov. 15 at 11 a.m. Representatives from the USDA, the Legislature, Down East Community Hospital, and other key stakeholders will be present to celebrate completion of the project. 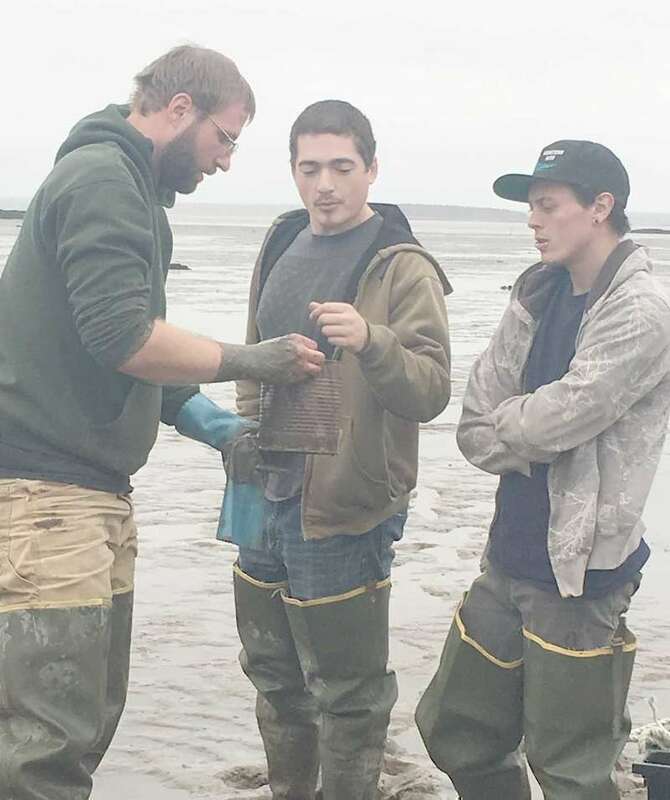 One grey afternoon in May, two scientists and a band of commercial clam harvesters trudged into Machiasport’s Larrabee Cove carrying yards of netting, a cooler of juvenile clams and stakes to mark their experiment. With the holiday season approaching, I know that many of us are starting to shop for friends and family. But I want to highlight another type of shopping that could have a profound impact on your wellbeing: health care. Last year our pediatrician advised us that warming winters mean we should expect to encounter active ticks 12 months out of the year. I had seen the truth of this years earlier when I found a deer tick walking on my son after a hike through snow-packed woods. But even with the evidence in front of me, I confess I’ve grown lax about performing daily tick checks as the days have grown shorter and (somewhat) colder. If you were born after December of 1964 you have never known a time when Machias did not have a modern hospital with a trained 24- hour Emergency Department. While we can be proud and thankful for its founders’ wisdom, the hospital can only operate if it is financially supported on a yearly basis. Gene Nichols, Downeast Maine’s versatile musician and player of all things remotely musical -- was recently honored as tops in the state when presented with the Maine Music Educator Award. UMM’s professor of music lightens the evening for many Mainers and summertime visitors with his Wild Blueberry Festival introduction to the musical main event; years ago revived the popular ukulele club; and got his start many moons ago as a circus performer. With the 2017 hunting season underway, Governor Paul R. LePage is again urging Maine hunters to consider supporting the Hunters for the Hungry Program by donating all or part of their harvest to feed families in need. The popular program provides a means for Maine hunters, as well as hunters from other states, to donate harvested game to food pantries, soup kitchens and shelters. 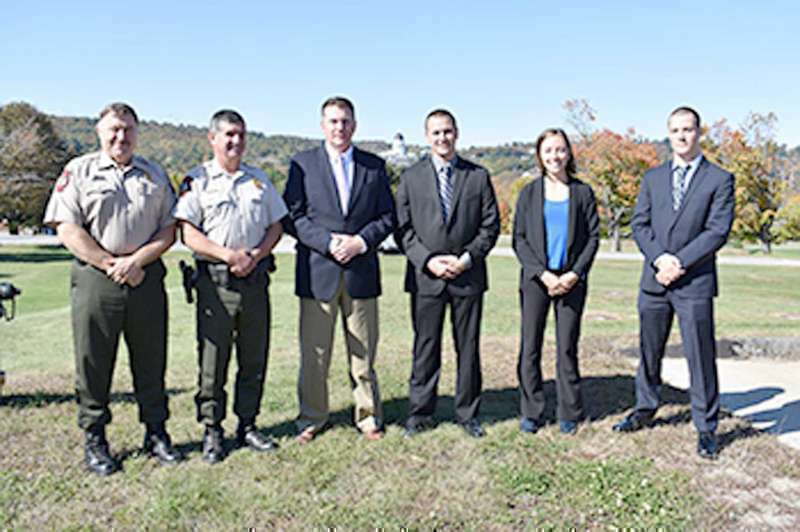 Three new Marine Patrol Officers have recently been sworn in and will be serving in Kittery, Tenants Harbor and Lubec. 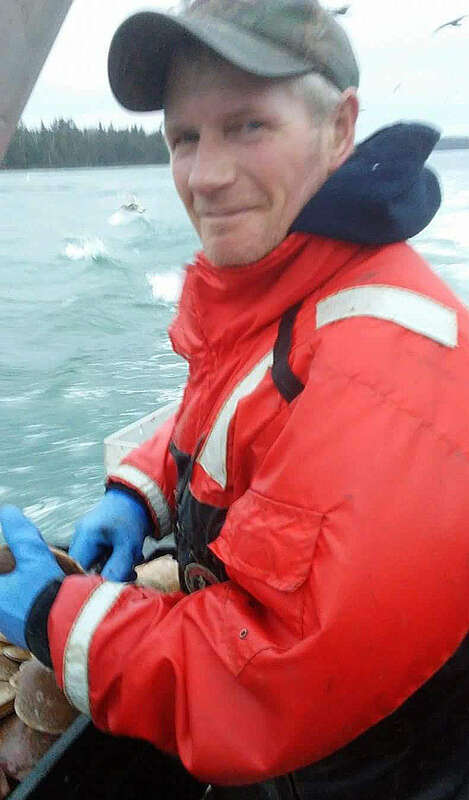 Matthew Carter of Marshfield, Maine will serve in the Lubec patrol. 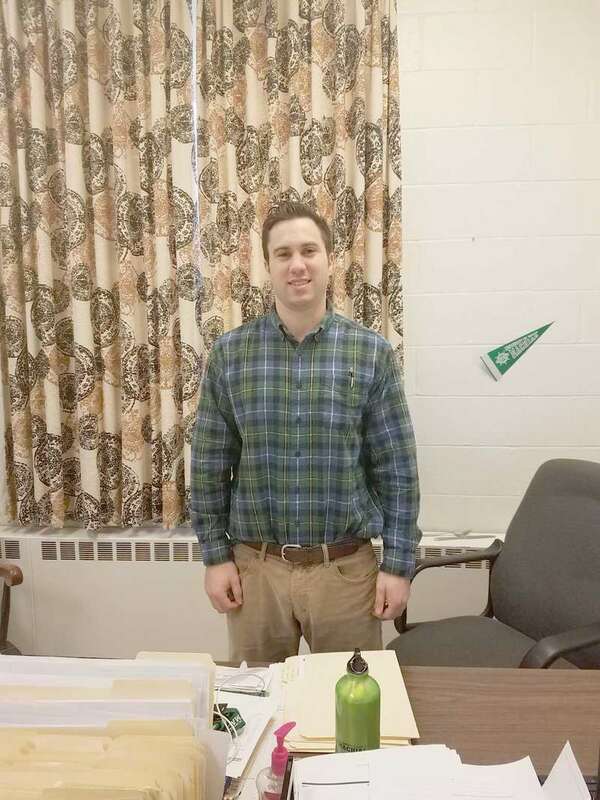 A former Washington County Sheriff’s Deputy, Carter is also a native of Washington County, having grown up in the Machias area and graduated from Washington Academy. Carter is also currently a Military Police Officer in the Maine Army National Guard. 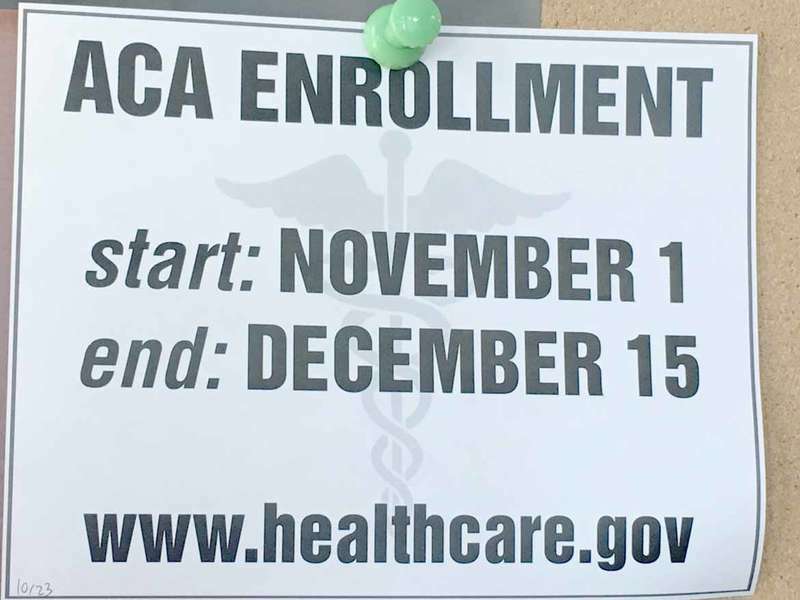 Medicare Open Enrollment runs through Dec. 7, and it’s a banner time for Medicare fraud. Beware of ads that promise medical equipment covered 100% by Medicare. Medicare only covers durable medical equipment that is medically necessary with a doctor’s prescription. Don’t share your personal information from someone claiming to be from the Centers for Medicare and Medicaid Services (CMS), calling to “verify” your information. Need help with Medicare Open Enrollment? Contact your local Area Agency on Aging at 1-877-353-3771 for free assistance. Wayne S. Foss, 48, of Whitneyville, a loving father of three and beloved husband, passed away unexpectedly Saturday, October 28, 2017. He was born December 18, 1968 in Danbury, Connecticut, to Esten Foss and Mildred Reynolds. Wayne graduated from Machias Memorial High School and went on to marry his high school sweetheart, Kim Foss, married for 26 years and together for 29. Leroy Truman Tibbetts, 58, passed away at the Down East Community Hospital October 20, 2017, after a brief illness of pancreatic cancer. 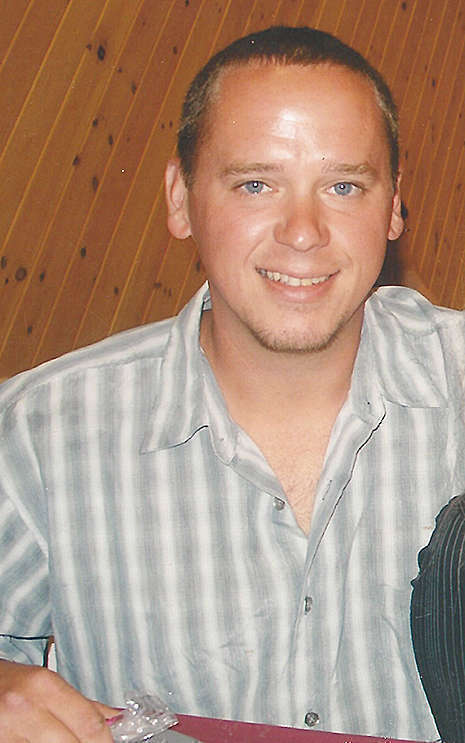 He was born May 12, 1959 in Jonesport, the son of Truman and Marion (Church) Tibbetts. He lived most of his life in Addison. Leroy will be remembered for riding his four-wheeler around the Basin Road, stopping by to visit with friends. Ramona G. Emerson of Jonesport passed away September 27, 2017. She was born December 12, 1943, the daughter of Laurence and Hazel (Carter) Tucker. She is survived by her sister, Kathleen Call and husband Fred of Harrington, and brother Glenwood Tucker and wife Charlotte of Ellsworth. 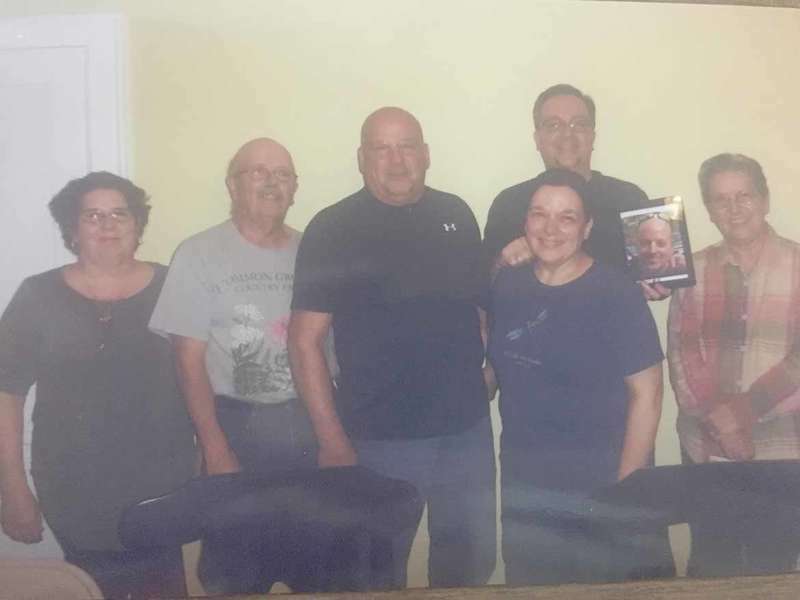 She is also survived by her sons Michael Emerson, and Dana Emerson and wife April, both of Jonesport, and daughters Crystal Emerson of Jonesport, and Lori Ann Farnsworth and husband Nathaniel of Addison. Milton “Milt” Fuller lived the life that many people dream to live. He was blessed with true love, a devoted family, living in Maine (the way life should be), traveling the world, and lifetime friends. 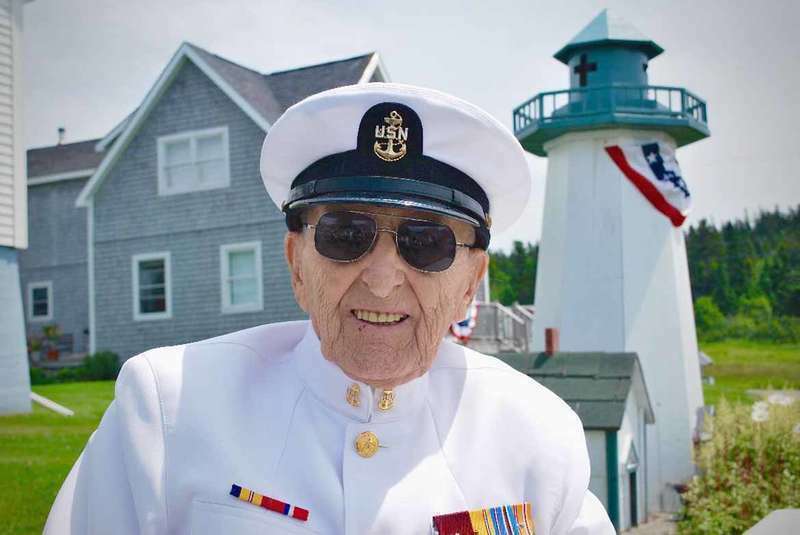 Milton died peacefully on November 1, 2017 in Machias, Maine at the age of 92. Following a harrowing summer when an unprecedented 15 North Atlantic right whales died in Canada and the US, a team of long-serving and dedicated scientists from the Anderson Cabot Center for Ocean Life at the New England Aquarium headed to Canada last weekend to discuss the status and future of the most endangered large whale species in the Atlantic. 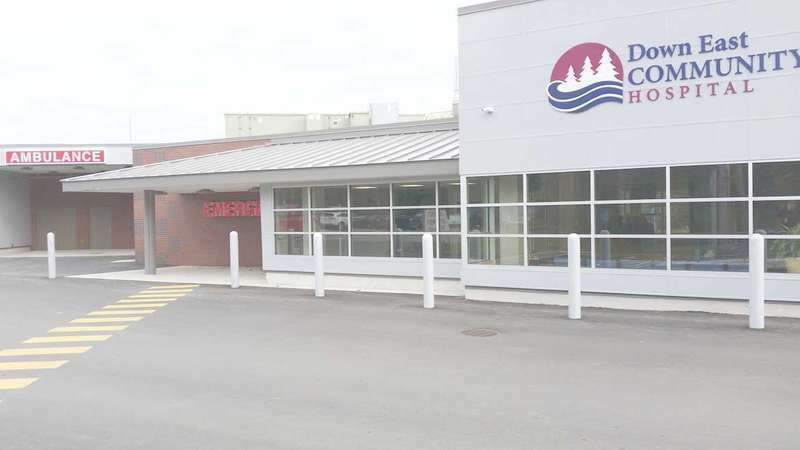 Staff from both Calais Regional Hospital and Down East Community Hospital in Machias have been working on a plan to provide quality OB/GYN services locally in Calais. Rod Boula, CRH CEO, and Dennis Welsh, DECH CEO, began discussions with the announcement that delivery services would be ending at CRH. With all of the logistics of such an endeavor finally worked out, it is exciting to announce that DECH providers Kara Dwight, MD and Christian Inegbenijie, MD will provide office visits in Calais one day a week once clinic licensure is obtained. Dr. Inegbenijie and Dr.
Gloria Bragg of East Machias, Maine: Criminal trespass on June 28, 2017. SNTC Date 8/8/2017, Fine $150. GLTY. Dillon Dowling of Machias, Maine: Disorderly conduct, loud noise, private place. SNTC Date 8/7/2017, Fine $500. GLTY. Joshua L. Dube of Milbridge, Maine: Operate vehicle without license on June 29, 2017 in Milbridge. SNTC Date 8/8/2017, Fine $100. GLTY. Michael J. Soule of Sullivan, Maine: Operating while license suspended or revoked on June 28, 2017 in Machias. DISE. Half way down the mountain a creek crosses the road. Approaching the creek, I could tell that the dirt-covered ice was making this horse skittish. At the creek’s edge, Hillary put on the brakes. Author’s note :This is part one of a three-part column series about my recent elk hunt in Colorado. Certainly you remember — don’t you? Your teacher sitting you down on the day before Thanksgiving vacation and having you go through the lovely thoughts about the first Thanksgiving — which were so far from reality that author Nathaniel Philbrick wants to put us all ship-shape! And he will with his many-paged notes, bibliography and index. Truth is, we all need to get a grip on our actual early history. It was and is not an always easily or happily told tale. Take a look! For many years, Machias High School and Van Buren High School stood alone as the dominant teams in Eastern Maine Class D boys’ soccer. Van Buren fell first and several years later Machias followed suit giving way to Bangor Christian who has had an incredible run over the last decade. 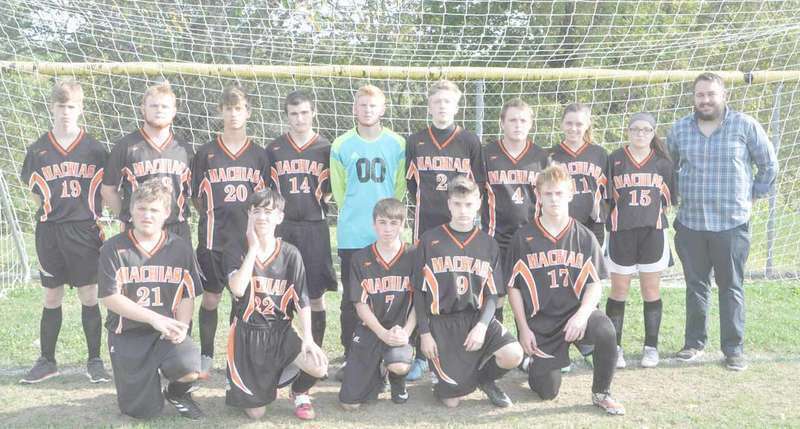 Since 1965, the Machias program has been the class of boys’ soccer in Washington County and have way more games, more conference championships and more trips to the state title game than any other school. Personal property in Jonesport: to tax or not? Jonesport selectmen returned to the subject of taxing personal property at their Nov. 1 meeting. 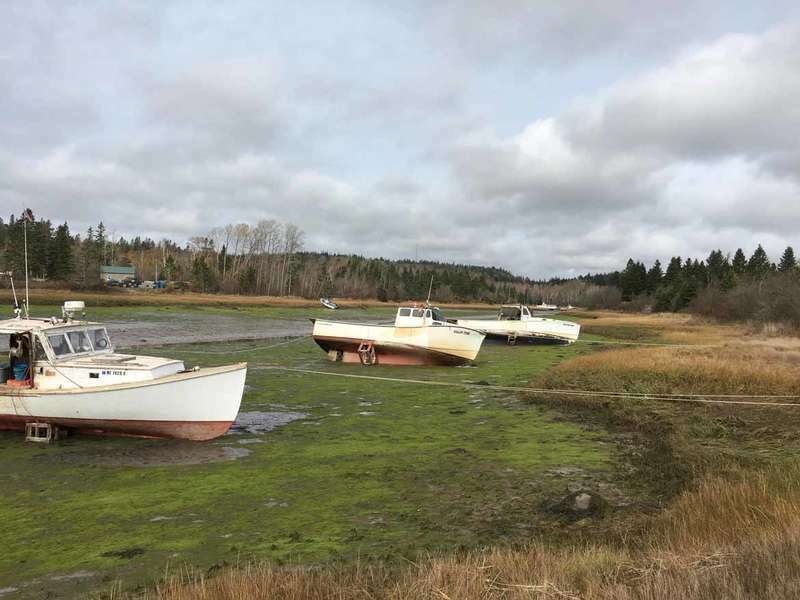 Last month, they had listened to a presentation by business tax exemption specialist Joe Salley from Bangor, who explained ways in which personal property — lobster traps, equipment and machinery — could be taxed without adverse financial effects on either taxpayers or the town. Currently, Jonesport does not tax personal property. The new bridge to Beals began last week with work on the approaches. Here, earth was removed on the Beals side to replace the 90 degree turn off the old bridge with an angle much less acute for the many tractor trailer trucks that come from the mainland. 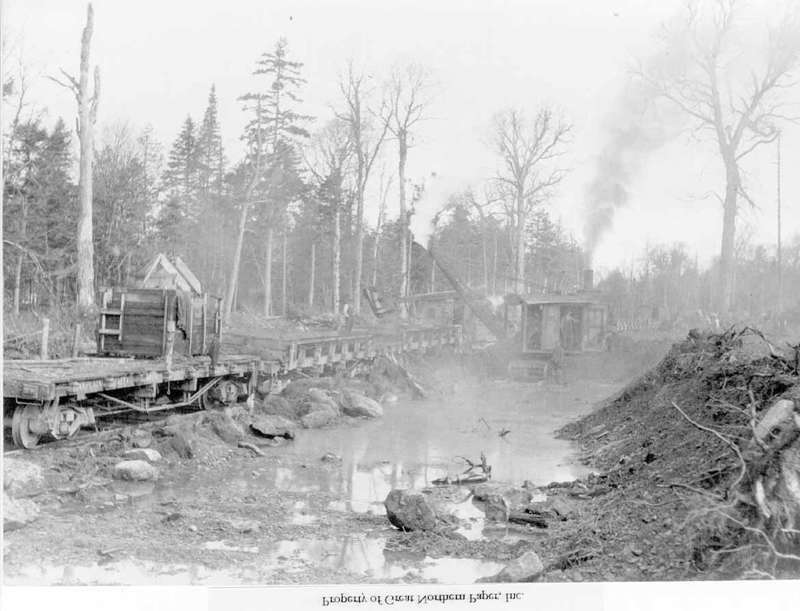 On the Jonesport side, the old house that Eddie Hagan used as a wreath shop was torn down to widen Bridge Street and provide room for power lines. The Women’s Health Resource Library (WHRL): Poets and publishers Valerie Lawson and Michael Brown, of Resolute Bear Press in Robbinston, will host a reading and book-signing for the “Three Nations Anthology: Native, Canadian & New England Writers,” joined by several of the poets, essayists and short story writers who contributed to this acclaimed new volume. Friday, November 10, 6 p.m. - 7:30 p.m. The Passamaquoddy Bay Symphony Orchestra (PBSO) is 10 years old! To celebrate this milestone, the orchestra is delighted to present its first-ever Broadway Pops concert on Nov. 17 at 7 p.m. in Eastport at the Arts Center; on Nov. 18 at 3 p.m. in Machias at the Centre Street Congregational Church; and on Nov. 19 at 3 p.m. at the Calais Congregational Church. Receptions will follow each performance. The reception following the Machias concert will be provided by Pat’s Pizza. 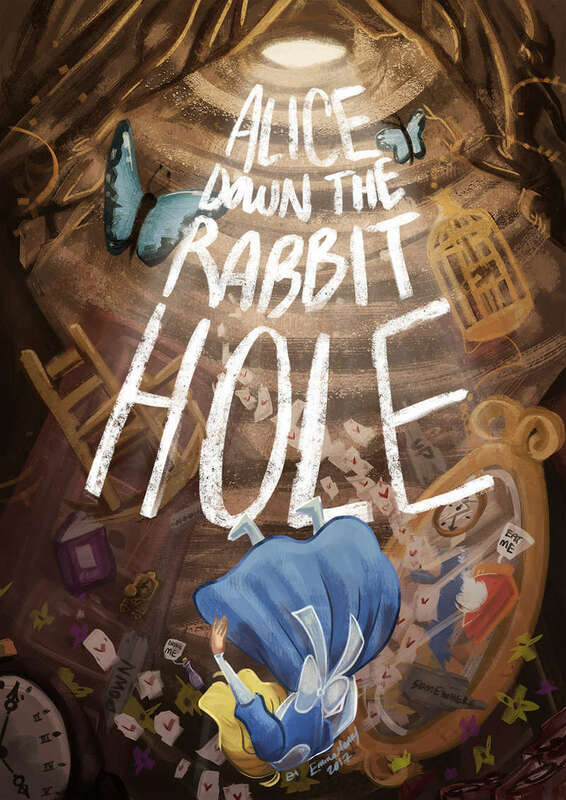 The Grand continues its tradition of live community theater with a new piece based on Lewis Carroll’s “Alice” stories- Alice: Down the Rabbit Hole. The play will run one weekend only — Friday, November 17 through Sunday, November 19, 2017. Tickets are on sale now at the box office. For more information on the production, or to become a member of The Grand call the box office at 207-667-9500. On Wednesday evening, Nov. 8, the Pembroke Library will present Stephen Sanfilippo in a concert of chanteys, ditties, ballads, Gospel songs, hymns, poems and stories that capture the romance of the sea without hiding the hardship its hardships. Stephen has collected and performed traditional maritime songs since the early 1970s, blending his interests in history, hard knocks workers’ songs, and dreamy ballads that carry the singer to faraway places and long ago times. A U.S. 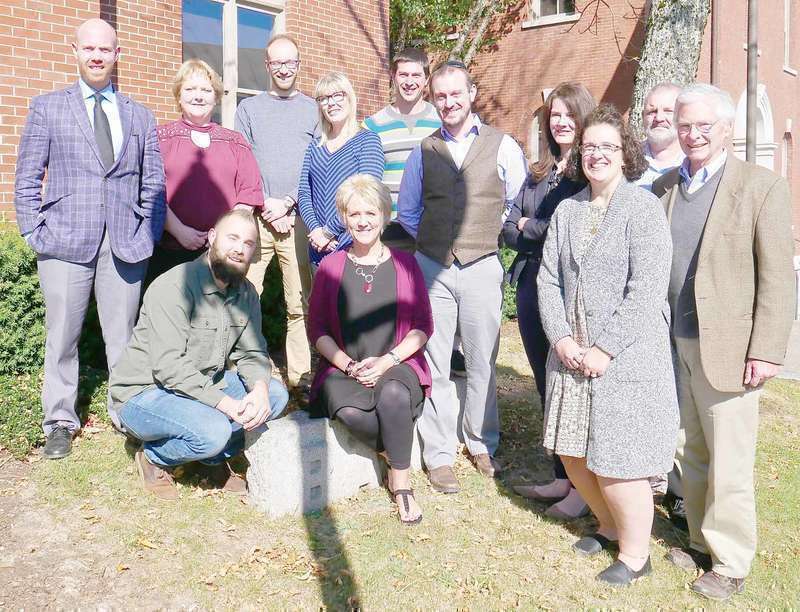 The Sunrise County Arts Institute (SCAI) continues the “First Annual Milbridge Lit-Fest,” its celebration of writers, good writing, and delicious reading. The Narraguagus Lady Knights and the Calais High School Blue Devil boys both finished 5th in the Northern Regional Cross Country Championships at Troy Howard Middle School in Belfast on Oct. 21. Those two teams and ten individual runners will advance to the state meet. In boys Class C, the Orono Red Riots showed their dominance with a low score of 19. The Riots had three of the top five places and five of the top eleven. Machias Memorial High School is the proud recipient of the MPA State Class D Boys Soccer banner. From left - right: Tyler Wentzel, Matt Gardner, Naveah Skinner, Dallas Moody, Head coach Ty Richards. The Washington Academy (WA) Raiders Volleyball squad virtually assured themselves of a spot in the first ever Class C state championship game with a 3-2 Oct. 17 win over Woodland on the Dragons’ home court. Woodland, Calais and Washington Academy were the only three schools with a realistic chance of going deep into the playoffs and with the win, WA should be able to coast into the title game with a Woodland, Calais showdown in the semi-finals. The University of Maine at Machias (UMM) Clippers men’s soccer team ended it’s regular season at home Oct. 21 against the powerful University of Maine at Fort Kent Bengals. The Clippers took a quick 1-0 lead over Billy Ashby’s Bengals when Lorenzo Segura scored at 6:38 on a Rudy Hassen assist. The lead was short lived as the Bengals would score five unanswered goals to take a 5-1 lead into the halftime break. Standing left to right; Phil Mantis - Immigrant Legal Advocacy Program, Laurie Miller - Housing Authority of the City of Old Town, Sean Douglas - Immigrant Legal Advocacy Program, Catherine Labree - Housing Authority of the City of Old Town, Troy Turner - Housing Authority of the City of Old Town, Sam Belknap - Herring Gut Learning Center, Christy Daggett - Aroostook County Action Program, Dawn Coffin - Families First Community Center, James Maycomber - MaineStream Finance, Wes Todd - MCH, Inc.